Koh Samui is one of the top tourist destinations in Thailand that offers so many wonderful attractions to visit. If you want to spend your vacation along with your family or friends in Koh Samui, you will not be disappointed. Read about my travel tips before going to Thailand here and Thailand fun facts. There are some beautiful beaches on this island which you must not miss. What are the best beaches in Koh Samui Thailand? 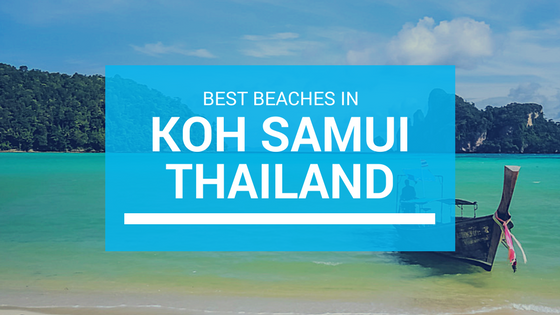 Well here is our list of the best Beaches in Koh Samui. 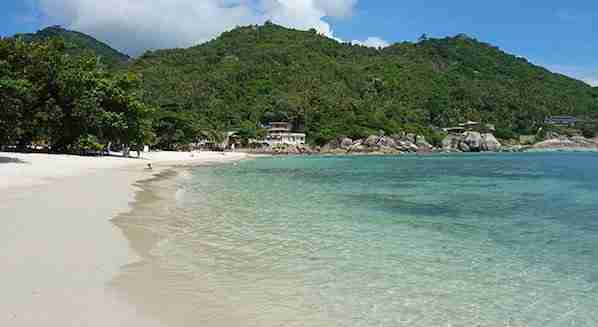 Firstly, Chaweng is a name of a big city in Koh Samui which has a beautiful beach spot for tourists. Chaweng beach is also one of the best Beaches in Koh Samui. If you really want to see wonderful scenery of a beach in Koh Samui, you may need to visit Chaweng beach. It is a nice beach with its clean white sands and blue water and there are some coconut trees with some sitting spot to enjoy your moment. Many visitors from China, Indonesia, Malaysia, Europe and the rest of the world come to this beach because want to see perfect view of Chaweng Beach. This beach is also more wonderful in the night because there are some nightclubs to enjoy nearby. Not only the view, you can actually enjoy sea diving to see some beautiful species in the water. If you really wish to see some adorable rocks and corals in the sea, then Lipa Noi beach is the best place to visit. You can say that Lipa Noi Beach is the best beach for a family holiday where you can invite your kids to spend the holiday. Well, this beach is really good for children because it really offers the most amazing beach view in the world. Many local families bring their kids to this beach during this weekend. Therefore, you probably can join them too to get the same excitement as you expect. In addition, you can also take your kids to enjoy some seafood in some available food courts nearby. Another nice beach in Koh Samui goes to Lamai beach that is the largest beach on the island. It is also known as the quietest beach on the island if we compare it to other beaches. Maybe, this beach is a great idea to spend your moment with your family members or partners because you can stay in some motels or hotels available around the beach. Usually, some new married couples prefer to go to this beach because it is really peaceful and it is suitable for relaxation. You can just spend your time with your loved one by walking along the beach while seeing the beautiful waves and blue sea. Bophut beach is also one of the best Beaches in Koh Samui. It is really worth to visit. As it is a beautiful and spectacular beach which you will be amazed at its amazing scenery. It is also known as the longest coastline beach in Koh Samui, so it will become a perfect spot to spend your trip. You may also enjoy the beautiful view while you eating your lunch. In addition, there are so many tourists who visit this beach during the Year. You can have a spa and enjoy some typical meals to make everything complete. 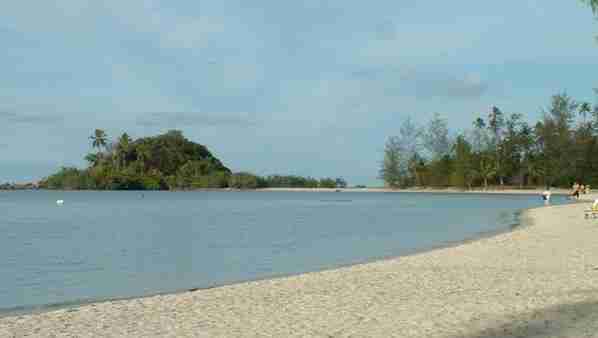 Next, you can head to Maenan beach which offers privacy for any tourists who want to look for a silent place. This beach is as beautiful as other beaches on the island and many tourists prefer this beach because it looks different. Not only that, this beach is also known as the most affordable beach in Koh Samui that you may visit if you have limited budgets. You may not miss some activities in this beach such as kitesurfing, wonderful view of Koh Phangan, dinner at some bars around, and much more. This is a great chance to spend if you want to enjoy your vacation along with your lovely life partner and get the best holiday quality in your lifetime. Do you want to see the amazing view of Angthong Marine National Park? Well, it is your time to head to Taling Ngam beach which belongs to the most picturesque beach in Koh Samui. This beach may look like other beaches but it offers some other things where you can enjoy some seafood menus and cheap bungalows. This is the best spot if you want to get a stunning natural beauty while you can enjoy the local food for the quality holiday. One less bustling beach in Koh Samui goes to Choeng Mon beach that has a beautiful view of bays for lonely travelers. If you are a backpacker, then this beach will be your best destination because it is a really nice place to get the calmness and away from the crowds. There are so many good restaurants that you can enjoy and visit in this beach. You can explore every corner of the beach and then tell your friends all of the experience you get from this beach spit. Silver beach is another nice beach to visit in Koh Samui which is located between Chaweng beach and Lamai beach. It is the best beach in Koh Samui that you must not miss because there are so many resorts available nearby. This beach is also a good place to enjoy dinner with a beautiful beach view that you will never forget in your lifetime. In addition to dinner, you can certainly do some beach activities such as sunbathing, snorkeling, swimming, and much more. Koh Samui has loads of guest houses, hostels and hotels. Here are a few places to check out if you are planning to visit Koh Samui. This property is 2 minutes walk from the beach. Offers free WiFi and an outdoor pool, Sirinsamui Boutique Hostel offers accommodation in Choeng Mon Beach. Also has anon-site restaurant. Each air-conditioned room comes with a flat-screen TV with cable channels. Guests have access to a private or shared bathroom. A convenient 3-minute walk to Plai Leam Beach, Samui Honey Suite offers stylish air-conditioned rooms with free Wi-Fi. Boasting an outdoor pool. Fitted with a balcony, each room features a flat-screen cable TV, safe and minibar. This property is 9 minutes walk from the beach. Each room comes with a private garden is fitted with air-conditioning, fan and a flat-screen smart TV. This accommodation features free WiFi and private parking. This property is 6 minutes walk from the beach. Offering comfortable rooms with a private garden and outdoor spa bath. Free WiFi access is available. All rooms are air-conditioned and come with a sofa, a flat-screen TV with international channels and a minibar. Featuring a walk-in shower, the en suite bathroom includes free toiletries. Well, those are some best Beaches in Koh Samui that you may visit when you choose to visit Thailand on you next trip. Now, you can schedule your holiday plan and set Koh Samui as your destination. 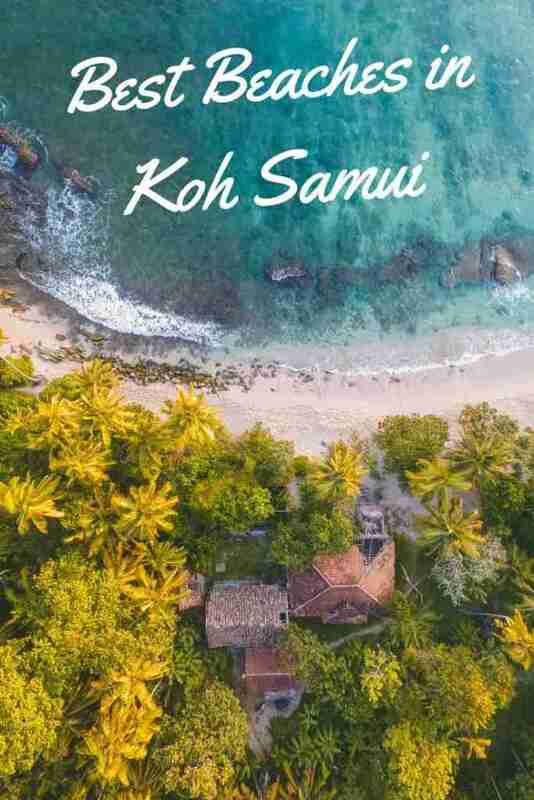 Koh Samui is really incredible with all of those beaches but beaches are not the only spots which you can enjoy because there are many other attractions that will make your holiday perfect. I’d love to know if this guide on the best Beaches in Koh Samui has helped you. And that’s it for now! Let me know if you have any questions and let me know if you go.